True blue everywhere despite election uncertainty! Up all night listening to the election results, but as we are no further forward this morning on which party will govern here in Britain, I went out in search of bluebells and found quite the most magical wood in Kent, with a garden attached - Riverhill House - high on the Weald and with astounding views over the surrounding countryside. At present, Riverhill will only really be a garden wow at this time of year, since it's a Himalayan paradise with a fantastic bluebell wood. 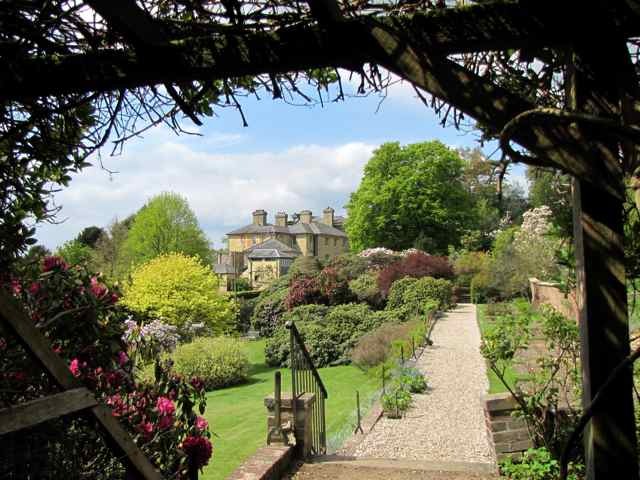 There are no long-established borders here, and although there's many acres of parkland and the most wonderful views over the surrounding countryside, this is very much a garden in the making. It will be interesting to see how it progresses over the next few years, like its neighbour, Titsey Place, but NOW is the time to visit because the bluebells are quite magnificent. Riverside is home to the Rogers family and they are working hard on developing the gardens, which will, with the benefit of time, be quite wonderful. There is a kitchen garden under construction and a new water garden which will provide interest at other times of year for garden visitors. But now is the time to see the bluebells. Other notable bluebell gardens I've visited this week include Leonardslee (best-known for it's incredible show of spring colour in the Rock Garden), High Beeches and Ramster, but for a complete list of gardens, visit the NGS bluebell list. 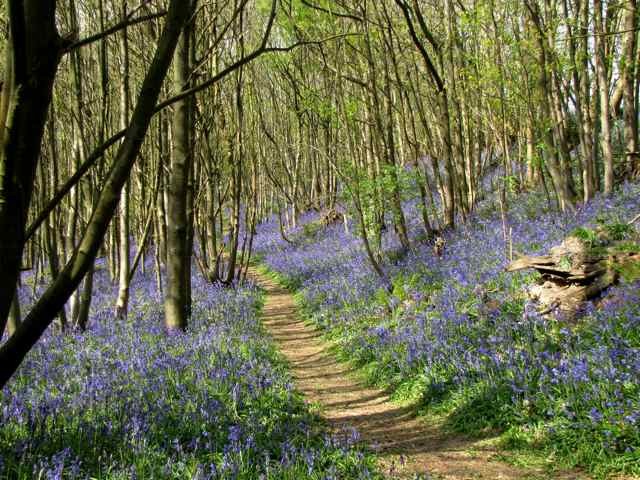 Absolutely gorgeous ... the bluebell wood is stunning. Wow, that is such a pretty bluebell show! 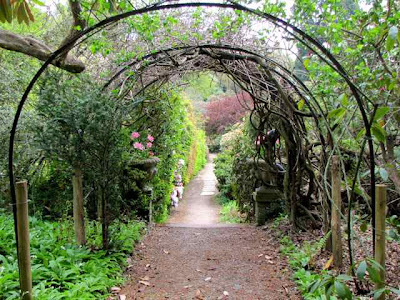 Your posts make me so in love with English style garden. Someday I wish I can visit some of them in person. Absolutely gorgeous! I think this place must be beautiful any time of the year. Beautiful, Charlotte. We have a bluebell glade in the heart of Toronto each spring... not with the garden potential of Riverhill, but delightful to visit in "true blue" season. Gorgeous, Charlotte. It made me quite homesick. 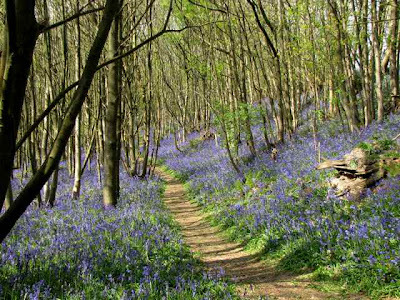 I have very fond memories of a horseback ride where we came upon a bluebell wood quite unexpectedly. It was entrancing.